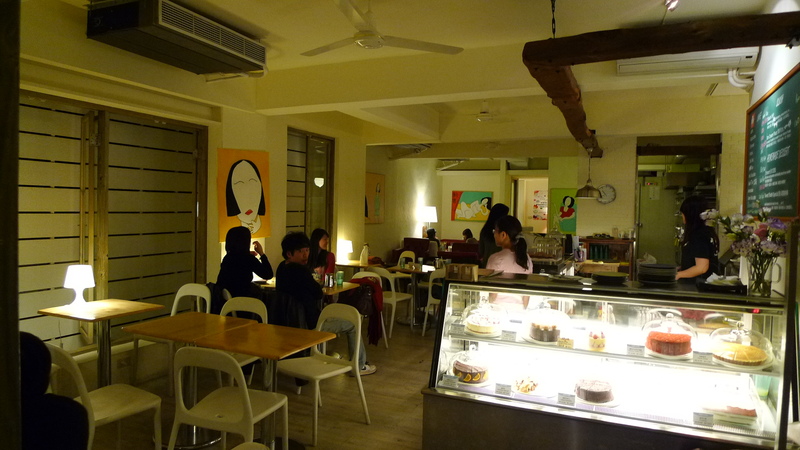 <300NT, 4 hearts, american, bakery., dessert, shida (師大), taipower (台電大樓), western. People say that women have two stomachs: one for meals and one for desserts. I am one of those women. I’m kind of a dessert whore. 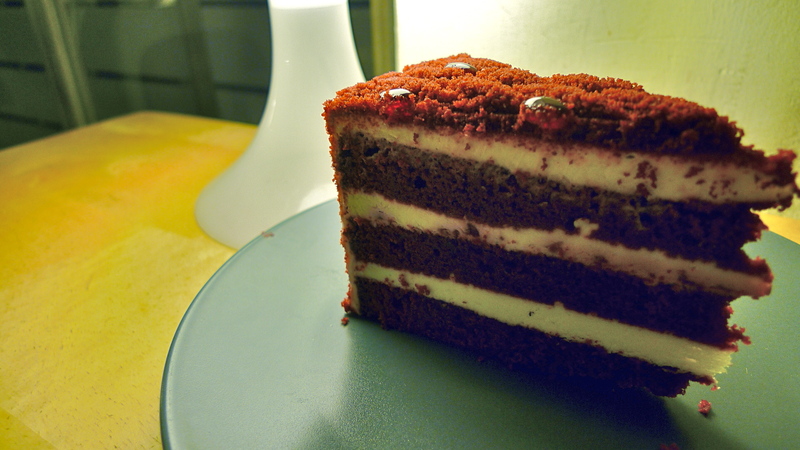 While I’m not generally a huge fan of American style cakes, there are some things that I love, for example, cheese cake, brownies, and red velvet cake. So one night after dinner, a few girl friends and I decided it was time to satisfy our dessert stomach. My Sweetie Pie is in Shida Night Market (師大夜市) across from Grandma Nitti’s (which I have not been to). 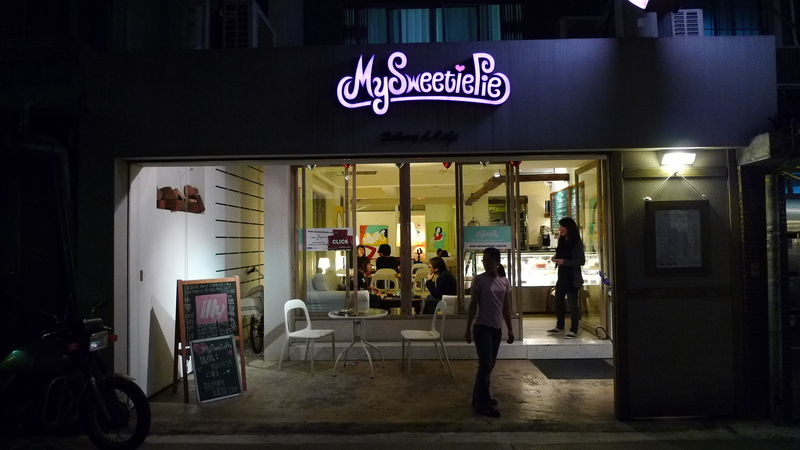 I had walked passed My Sweetie Pie before, but never stopped in, so this was my first time. 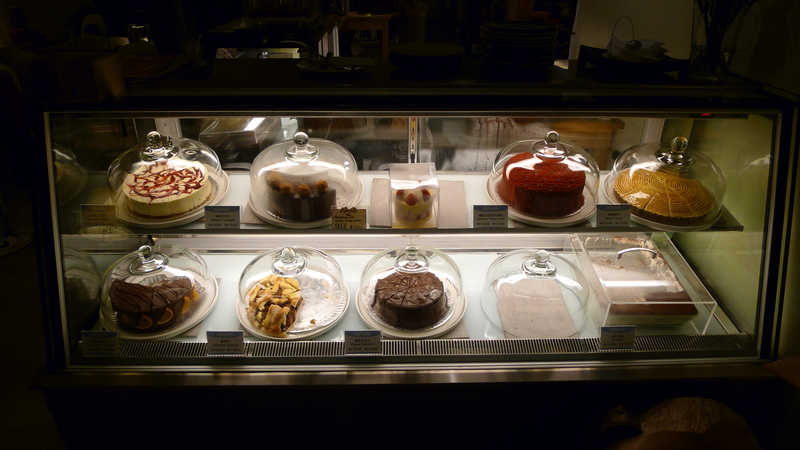 Upon entering My Sweetie Pie you’ll see their cake display. There is a decent amount of seating, but be warned that they do have a per person minimum, meaning everyone sitting must order something. After carefully examining the display, we decided on the Balsamic Vinegar Cake (100NT) and ice cream with brownie (160NT). So not going to lie, when we first saw this cake we thought, “did they mislabel the red velvet?” I mean, it was red cake, with cream cheese layers. But sure enough, it was Balsamic Vinegar Cake (100NT per slice). The cake is really pretty and really good. 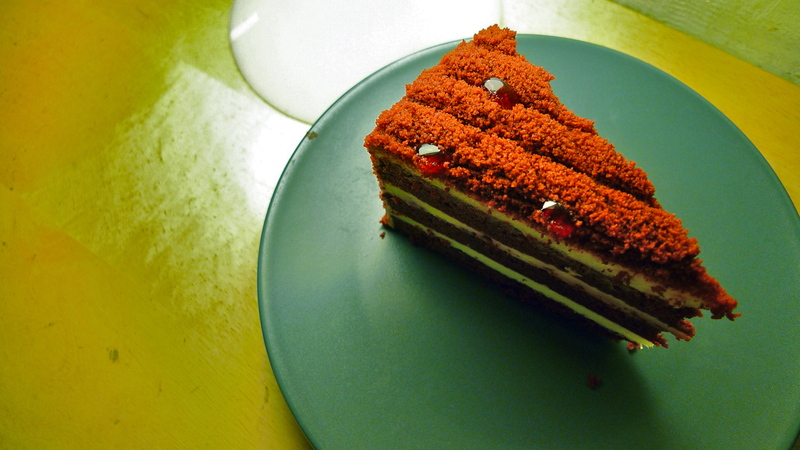 The cake itself was pretty moist and does taste like red velvet cake. The cream cheese layers were delicious, very cream cheesy, but not too heavy. At first taste, it tastes like red velvet, but then the after taste hits and there is a hint of tangy balsamic vinegar. It’s pretty good, and unique. Would definitely get this again. Here is a side view of the layers of cream cheese in the Balsamic Vinegar Cake. Delicious! For our second dessert we decided on the ice cream with brownie for 160NT. 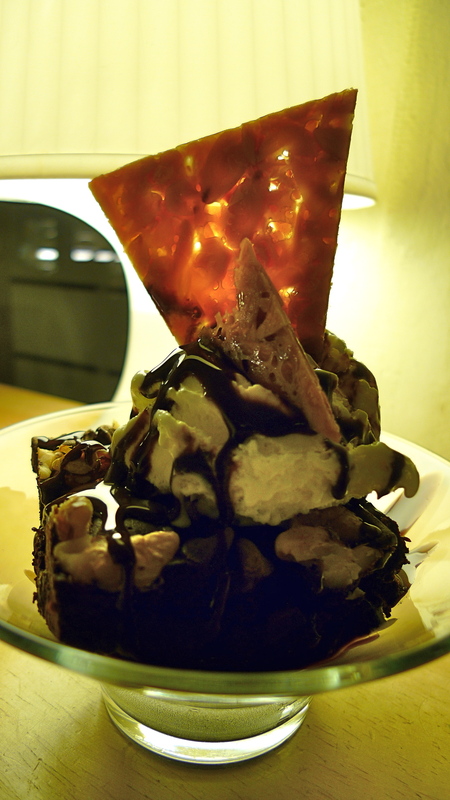 The brownie comes nice and warm with a scoop of vanilla ice cream topped off with hot fudge and almond brittle. This was delicious. 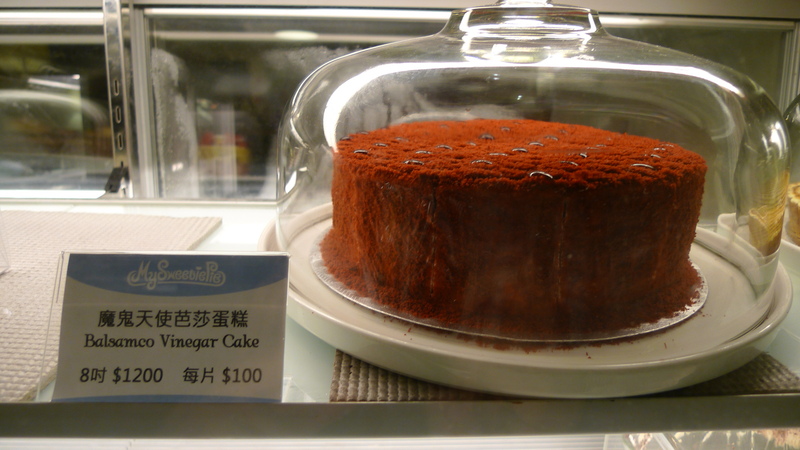 I feel like it’s hard to get a good brownie in Taipei, but this brownie was good! It was chocolately, gooey, and delicious; it had walnuts and chunks of chocolate in it, too. While with the hot fudge and ice cream this was pretty sweet and rich, it was definitely worth it. Since there were three of us, we had to get one other item so we ended up with a pot of tea. I thought it was weird that they were only willing to give us two cups for the tea. When we requested a third cup she said she couldn’t give another to us and that we should just finish one of the waters and use that cup. We ended up with some white orchard tea or something of the sort. It had a light citrus taste and was overall okay. 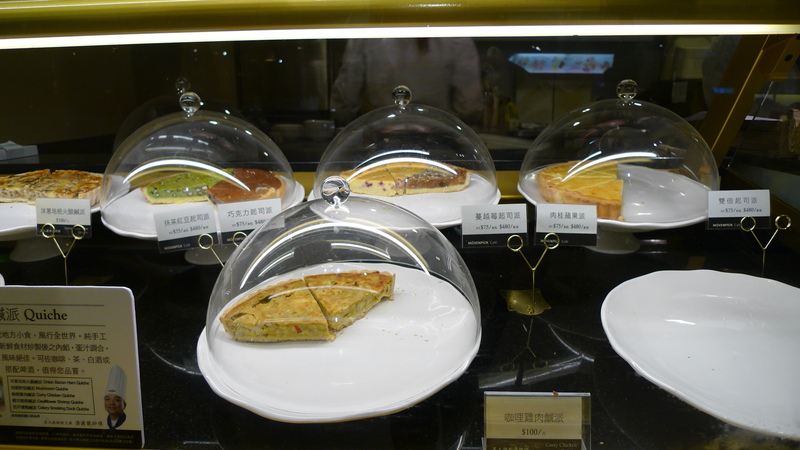 If you’re looking for a tasty dessert, something sweeter and richer than the average Taiwanese dessert, I recommend My Sweetie Pie. 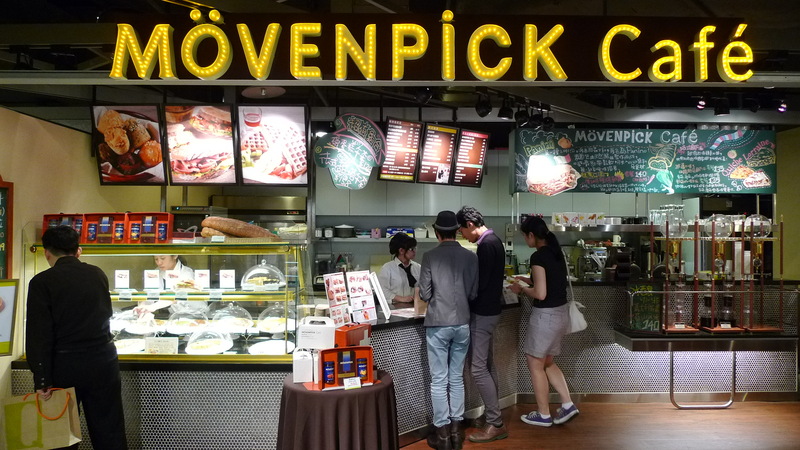 I heard their chocolate chip cookies and carrot cake are good. 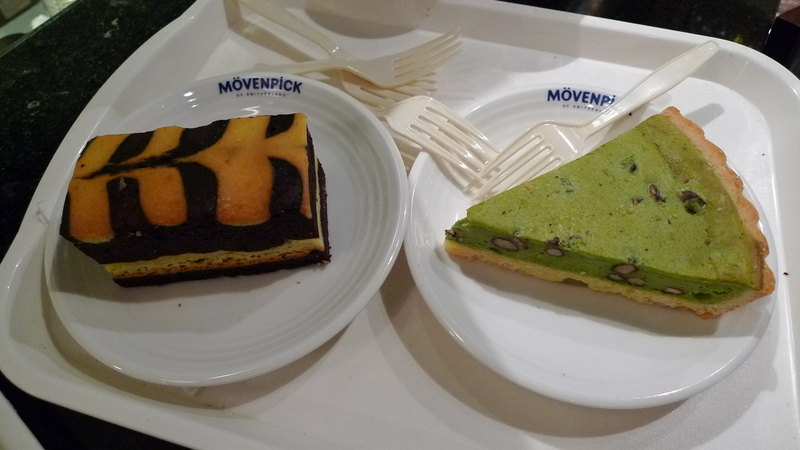 Next I want to try the cheesecake!